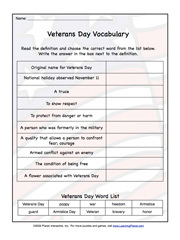 Click on each thumbnail to open a PDF document of the worksheet. 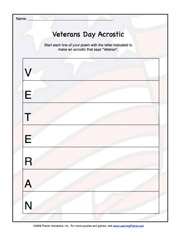 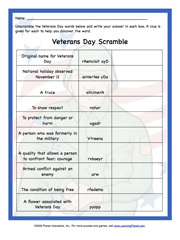 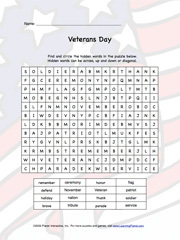 Write an acrostic poem about Veterans Day. 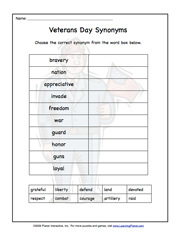 Write a cinquain poem about a Veteran. 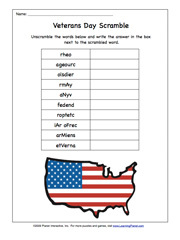 A cinquain chart is provided to help the student follow the pattern of nouns, adjectives, and -ing words in this five lined poem style. 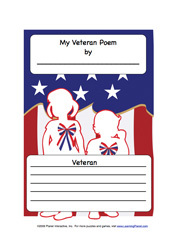 This is a two page printable consisting of a work page and a second page for the student to copy the finished poem. 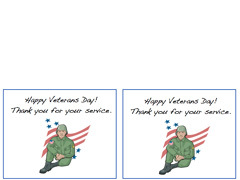 Print our thank you card for your student to give to a Veteran. 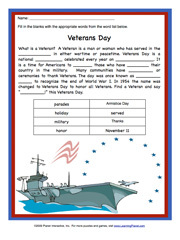 This card prints two per page and can be cut and folded down the middle. 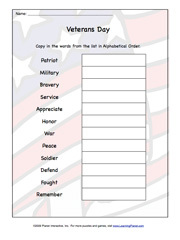 Include a signature and/or drawing on the inside.